There’s no easier way to get to the mountains! Kick back and relax as we drive from Red Deer to your favourite resort. Head out for a great day on the slopes. Enjoy a hot chocolate at the bus before letting us take care of the drive home. We’ve been taking you to your favourite mountain resorts since 2010 and this winter we’ll be heading out for day trips to Lake Louise, Norquay, Sunshine Village, Kicking Horse Mountain Resort and Castle Mountain Resort. All tours include return transportation from Red Deer, snacks on the bus, park fees (if applicable) and lift ticket (if selected). Pick an upcoming trip, come on your own or bring a few friends along. It’s that easy! A full day of skiing at some of Alberta’s best resorts. Ski hard all day, no need to stay awake for the drive home. Meet new people to ski and ride with. Get dropped off at the base lodge with your lift ticket in hand. No need to fight through the parking lot and wait in line at the ticket window. This day trip is open to all ability levels, whether you are a beginner and or an expert. Youth 13 and older can travel on their own, all we need is the waiver signed by a parent or legal guardian prior to departure. We’ve combined our popular Lake Louise and Sunshine Village day trips to give you even more days at your favourite resort! You can now ride the resort of your choice on most Fridays, Saturdays and school holidays. 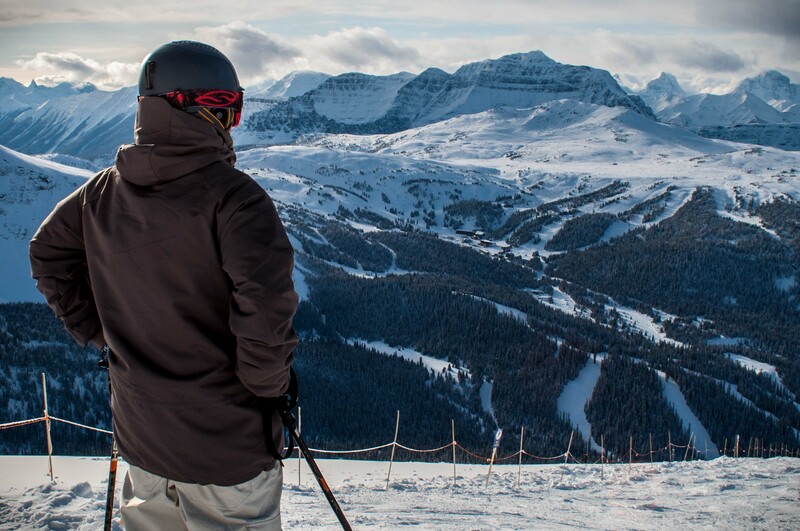 The only hard part of this trip is choosing between Lake Louise’s spectacular scenery, vast and varied ski terrain and Sunshine Village’s amazing views and over 3,300 acres of skiable terrain. Castle Mountain. Over 3500 skiable acres. Two mountains. 78 trails. 8 alpine bowls. So high you can see into British Columbia’s back yard. Castle is a great option for day trips and a great way to get away from the crowds to focus on your riding. And since we’re taking care of the driving, that’s all you need to think about. Discover fresh powder, steep chutes, pristine scenery and an exceptional atmosphere at Kicking Horse Mountain Resort, one of BC´s best ski resort, with the fourth highest vertical drop in North America, fresh powder, steep chutes, pristine scenery and an exceptional atmosphere. Often forgotten, Norquay has something for everyone with expanded beginner terrain on the Spirit Chair and long steep runs off the North American Chair. Our cheap days in the mountains are back – only $60 per person, including lift ticket and transportation from Red Deer. There is no excuse not to ski this winter! Available on select Wednesdays throughout the season. The only hard part is choosing between Lake Louise and Sunshine Village. At our Basecamp + Cafe in Riverlands. Our address is D10 5579 47 Street. We recommend that you dress in layers for your trip and wear comfortable clothes for the bus ride. You can bring your own ski or snowboard gear or rent at the resort. Return transportation from Red Deer. Snacks on the bus, hot chocolate & coffee at the end of the day. Lift ticket at the bus (if you select that option when booking). Rental equipment. You can rent directly from the resort. Instruction or guiding. Lessons and resort tours are available from the resort. Morning snacks consist of muffins and/or baked goods, juice boxes and water bottles. Afternoon snacks include baked goods, hot chocolate with handmade marshmallows and coffee. This tour is usually operated with a 16 passenger bus and up to 16 guests. All bookings are non-refundable but we will offer you a credit for a future adventure if you cancel a minimum of 72 hours prior to departure. If you did not prepay and cancel your booking within 72 hours of departure we may require you to prepay for all future adventures. Please note that we require a minimum of 4 guests to offer this tour. In the event where we do not have 4 guests, we will contact you no later than 2 pm the day before your tour to cancel. At your choice, we will issue a full refund or offer you a credit toward a future adventure. We're making some big changes to our website and booking system. Not everything has been moved over yet, if you're not finding something you're looking for you can head back to the older site here.